SKU: BBY014. Categories: Christmas & Stocking Fillers, Kids and baby. 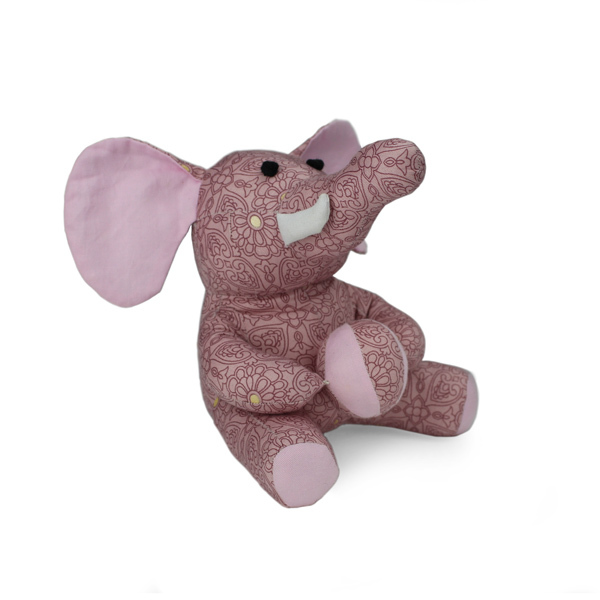 Tags: Baby, elephant, Mekong Quilts, Toddler, toy, Vietnam. Hand-stitched cuddly Asian Elephant. Take this little girl home and help disadvantaged communities at the same time. 100% cotton outer with polyester wadding. Founded in 2001, with only 35 quilters, Mekong Quilts is a non-profit organisation based in Ho Chi Minh City, Vietnam. Only the best quality materials are used. The quilters are women from poor rural communities who are taught the skills necessary in order for them to earn an income from sustainable employment requiring minimal investment and easily learned skills. Today Mekong Quilts employs over 340 women who no longer have to work in the fields to survive. All profits are reinvested into the communities.